Today’s post is sponsored by JOHNSON’S® baby. All opinions are my own. Everyone loves a good beauty hack, right? I mean, if we can cut time off our morning routine or use things we already have around the house, it’s a win win! Over the years I’ve found a ton of different ways to use some of the baby products I already had lying around my house. It’s been COLD here so one of my top priorities has been keeping my skin moisturized. 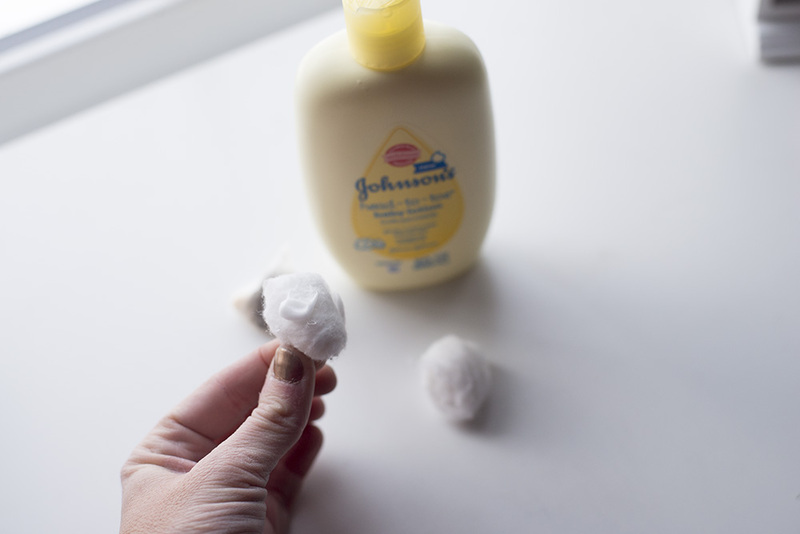 I love the JOHNSON’S® baby lotion for my hands, elbows, and feet. And I also love JOHNSON’S® baby oil on my entire body when I get out of the shower. This locks in the moisture and keeps my skin smooth and healthy. Some other uses? I love to shave with the JOHNSON’S® baby wash or JOHNSON’S® baby shampoo (whatever is in the shower haha). Put some in your hands, lather up, and rub onto your legs. So much better than shaving cream and more gentle on your skin. Not to mention more affordable. 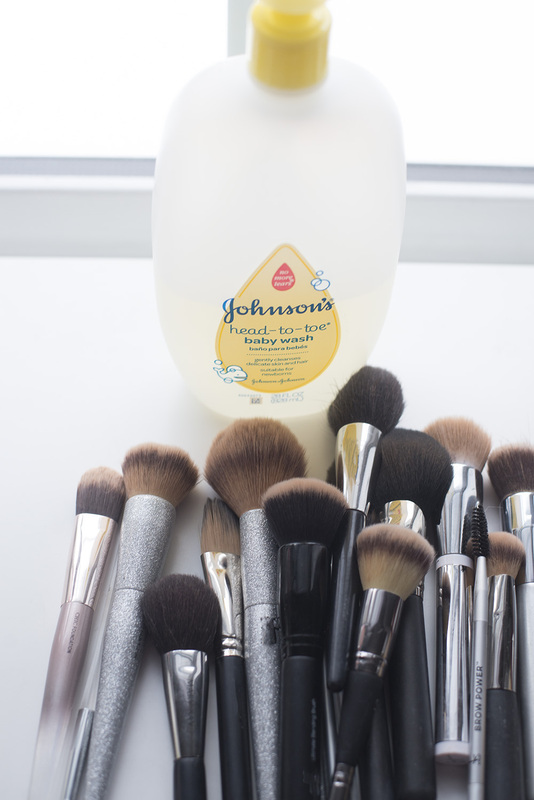 I also love to wash my makeup brushes with the JOHNSON’S® baby wash as well. 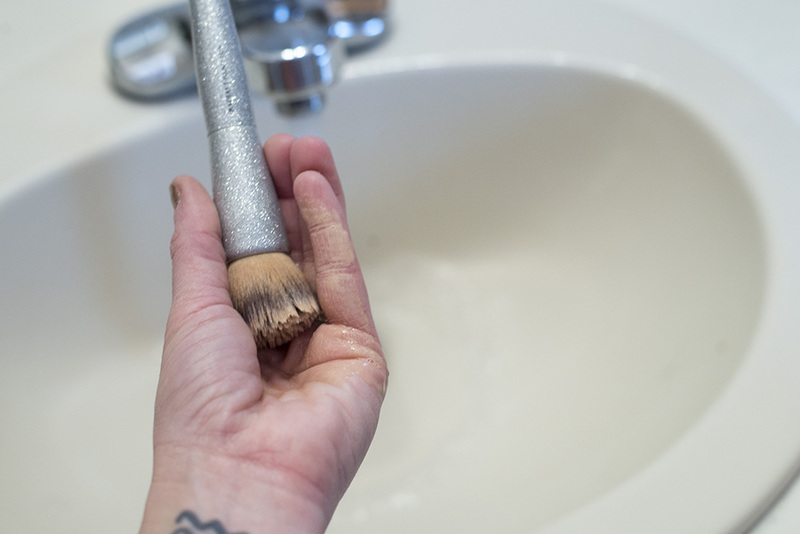 Add a little in your palm, rub the brush in a circular motion, and rinse under the faucet. It’s super gentle so it won’t damage the brushes but super cleansing at the same time. Did you have any idea these products for babies also were useful products to have on hand for yourself too? 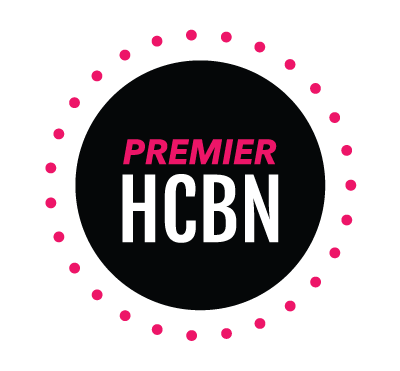 Share any beauty hacks you use below! 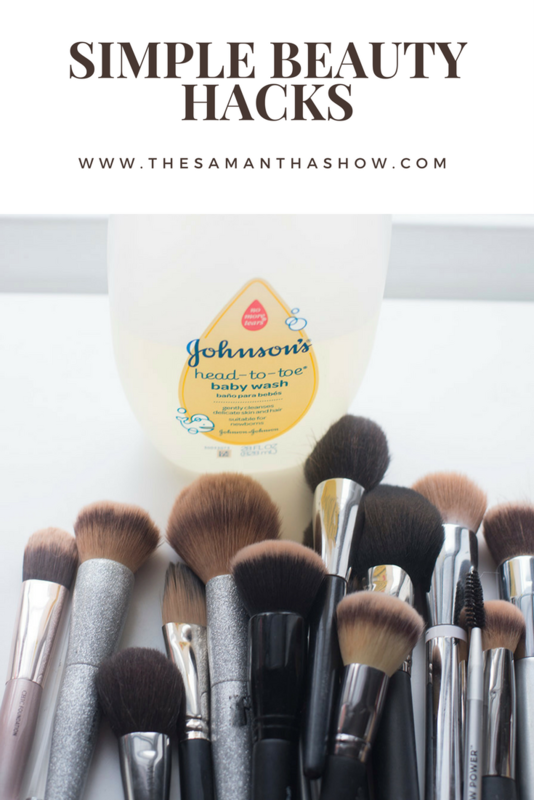 I had no idea it could be used to clean brushes, what a great hack!